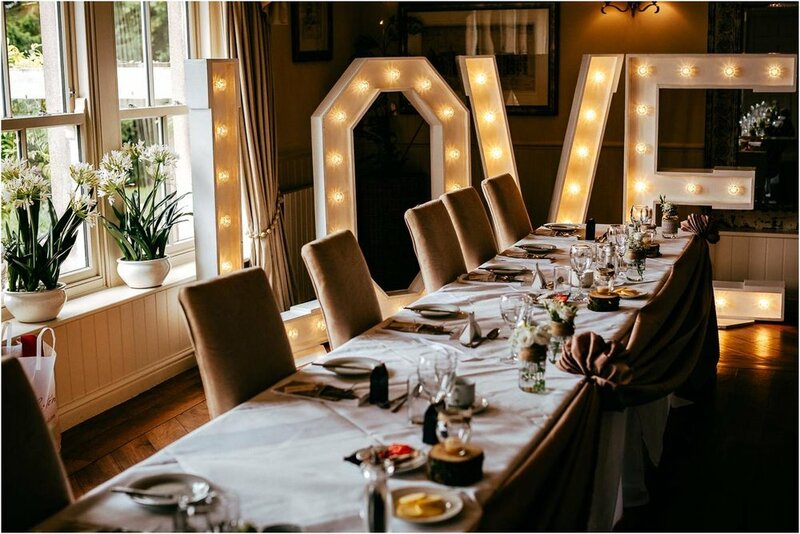 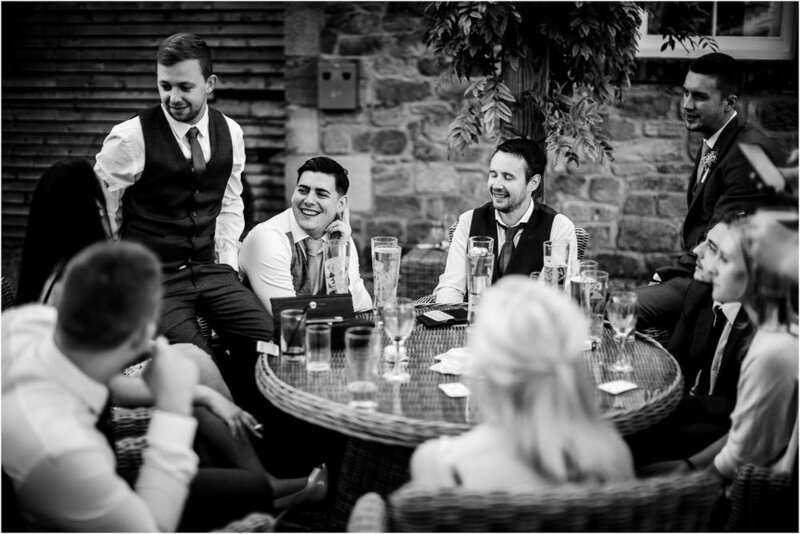 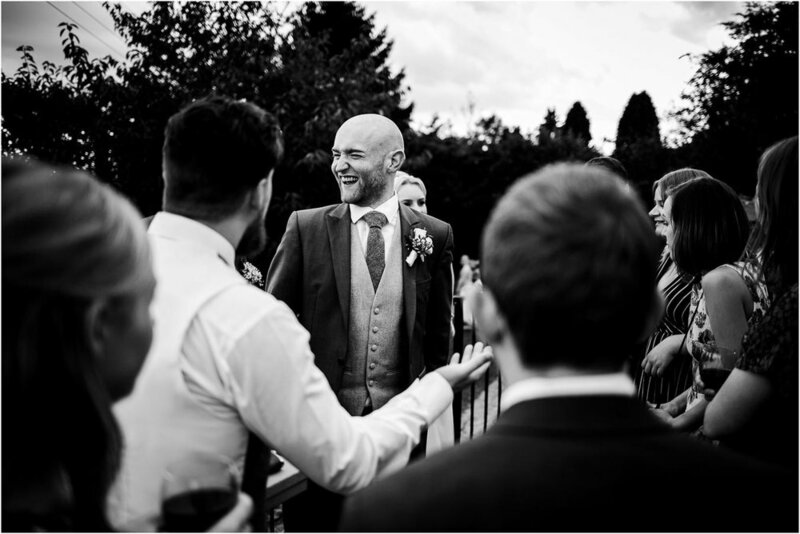 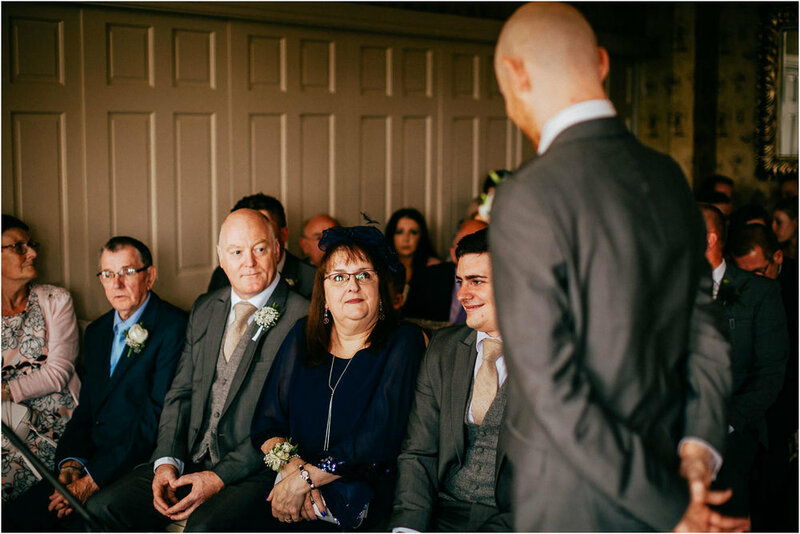 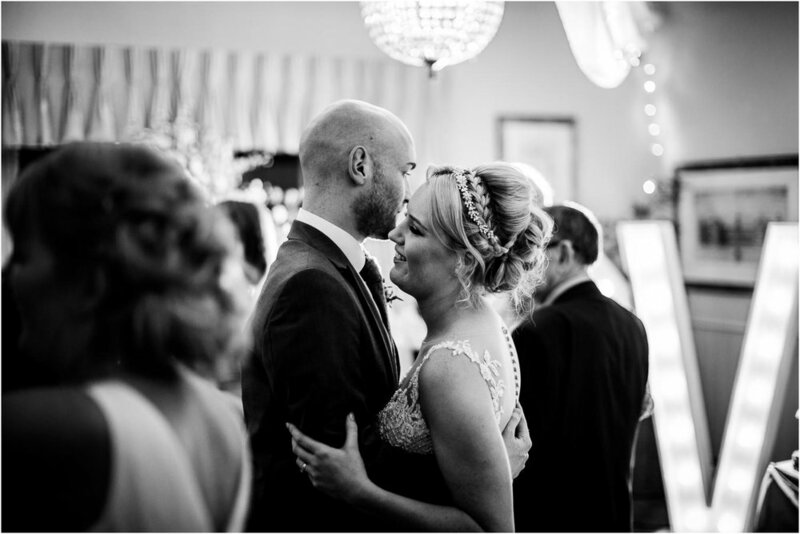 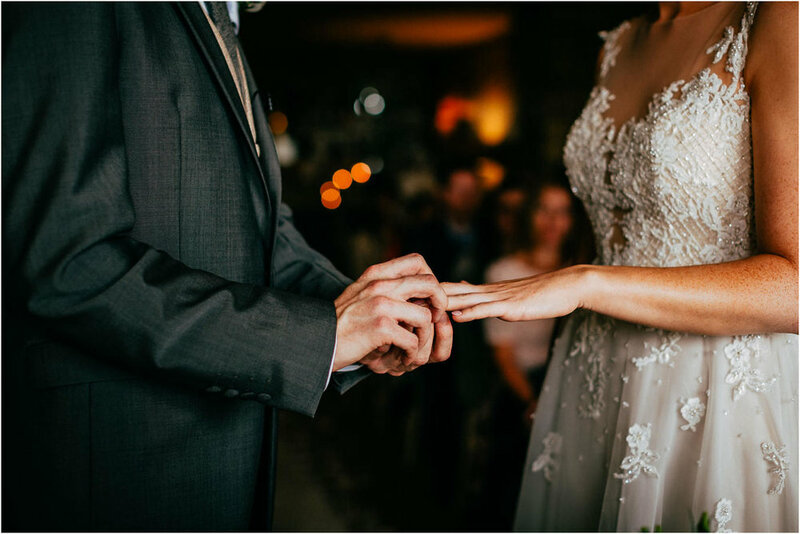 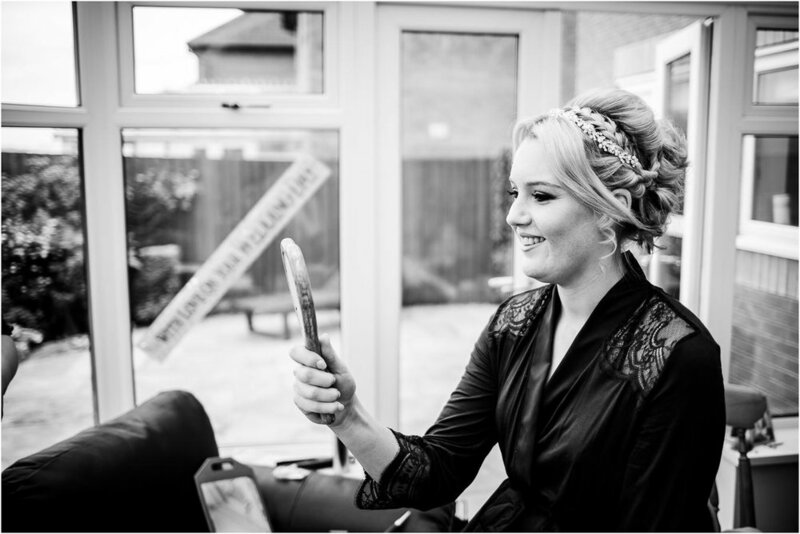 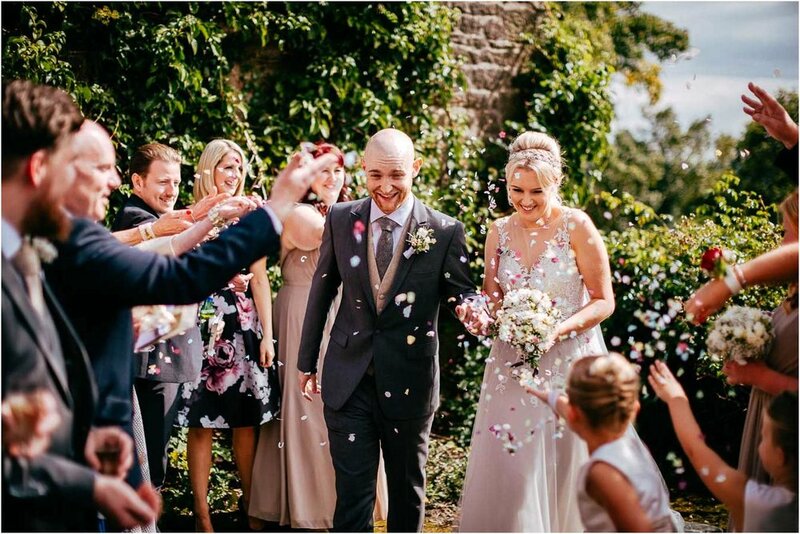 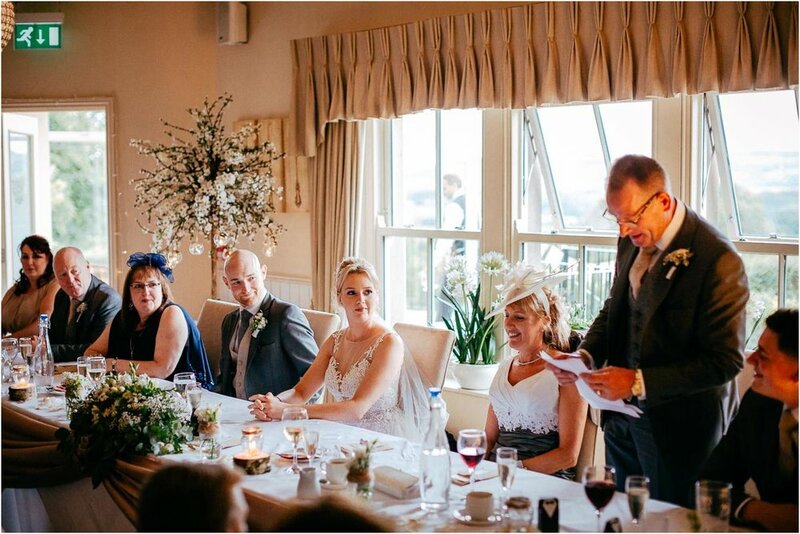 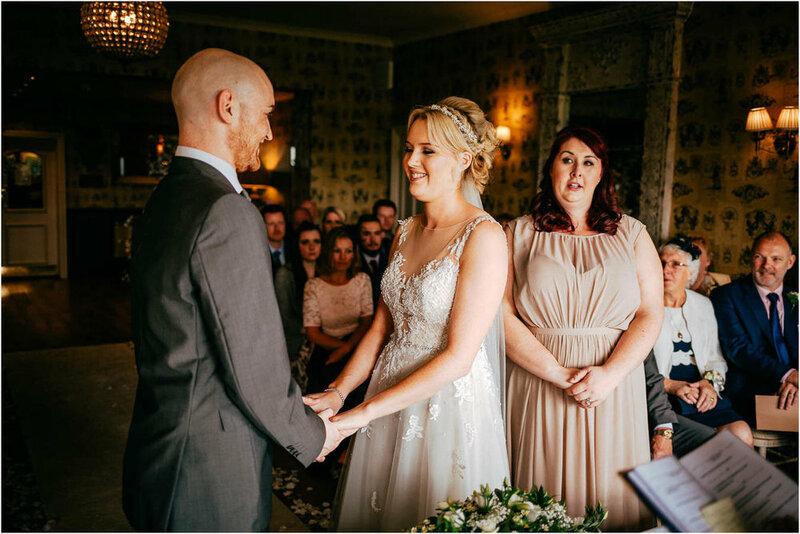 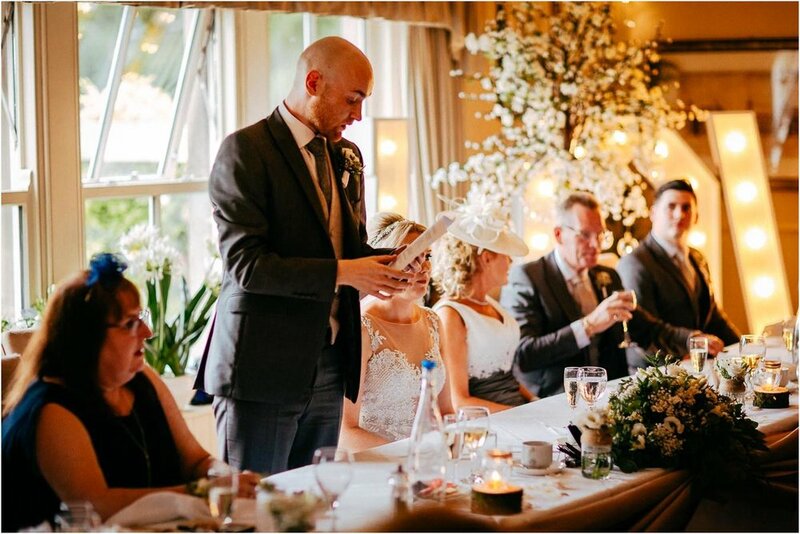 Louise and Sam were married at the Shireburn Ams in Hurst Green, Clitheroe Lancashire – one of my favourite wedding venues in Lancashire! 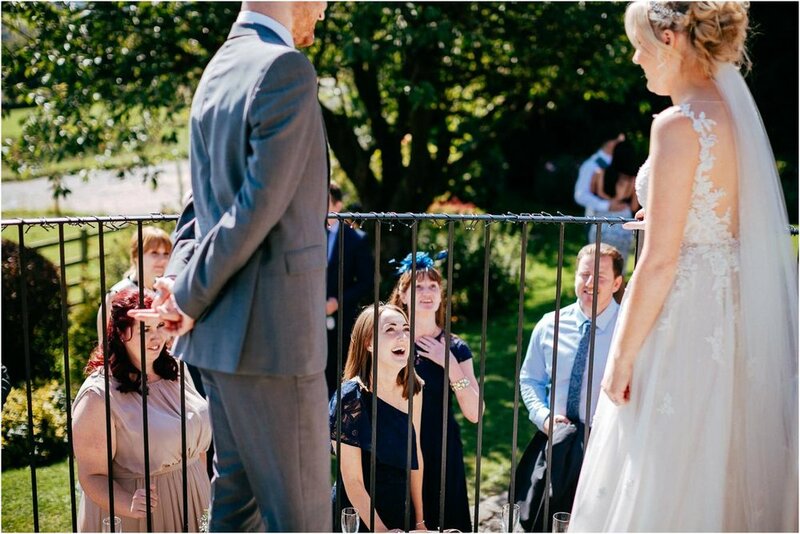 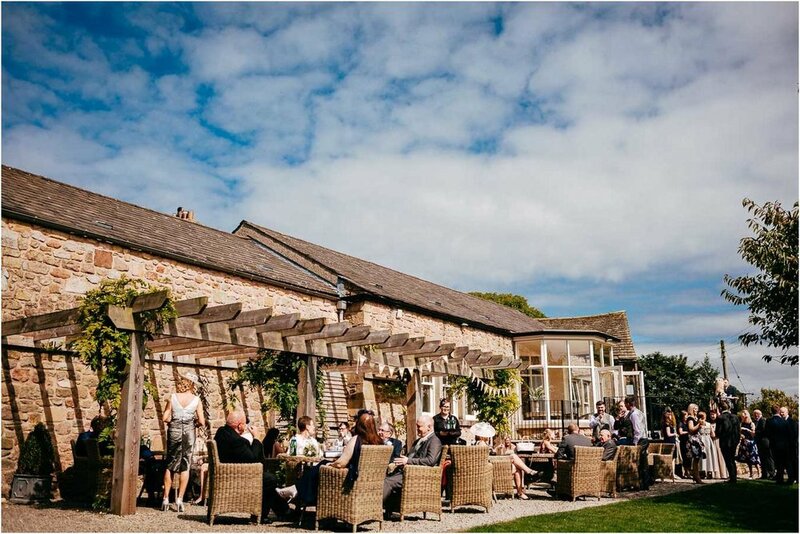 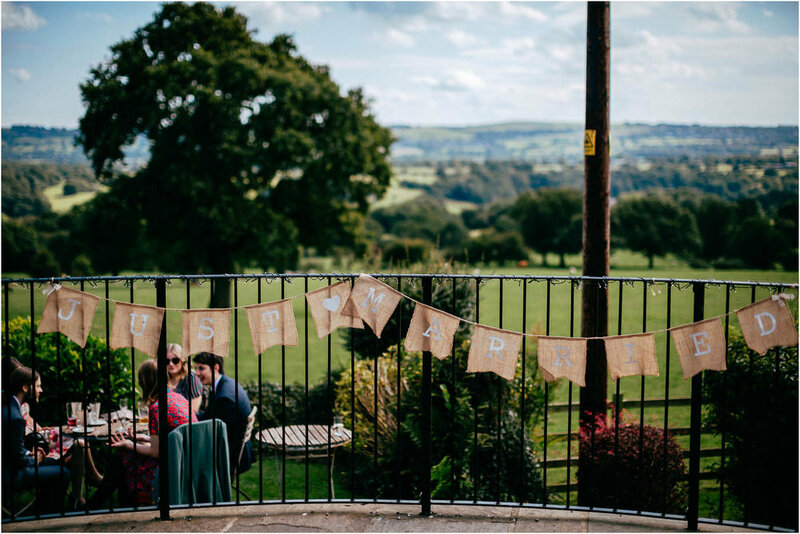 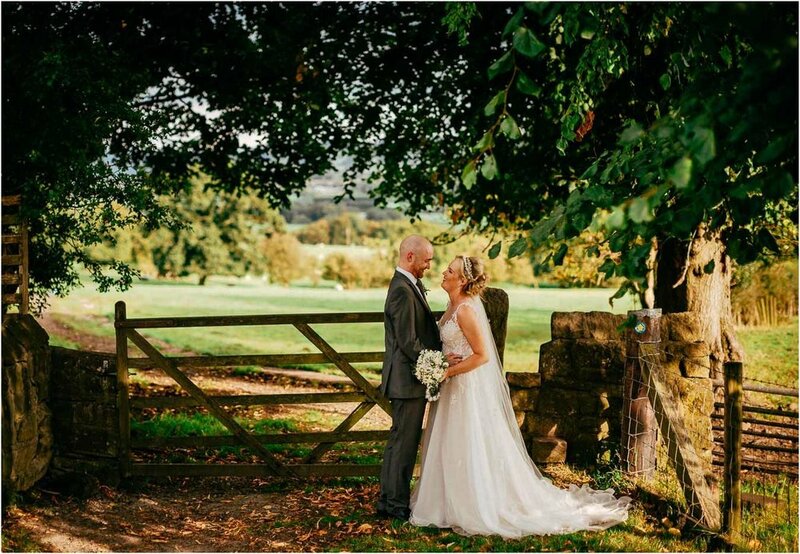 I love the views from the back of the wedding venue, overlooking the Ribble Valley – where Louise and Sam’s guests spent most of the day on the terrace, enjoying the fantastic weather outside. 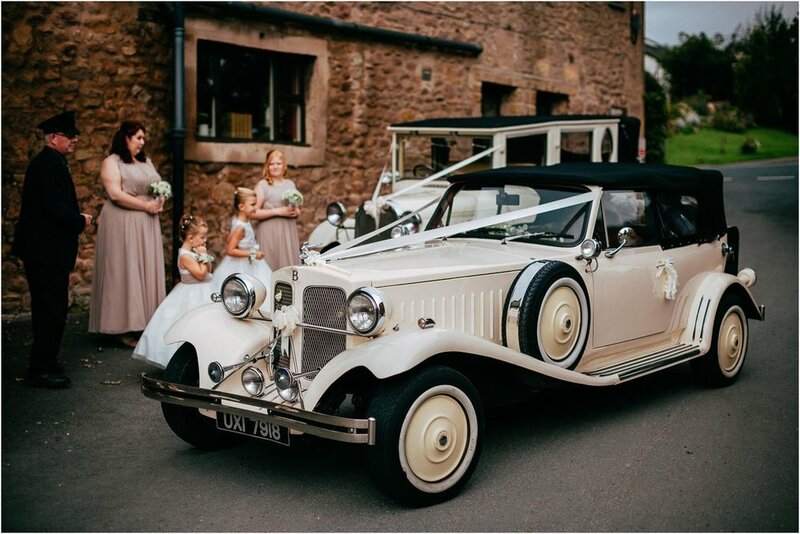 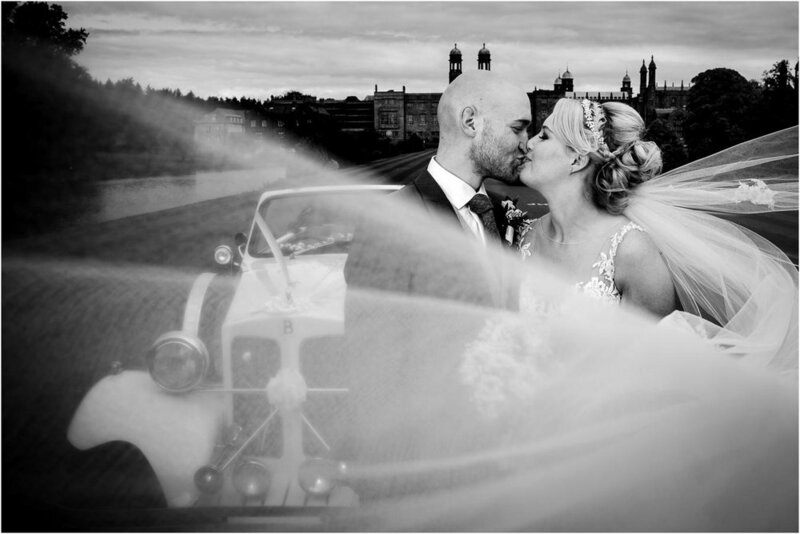 Nearby, Stoneyhurst College provided a stunning backdrop to some wedding photographs of Sam and Louise on the long driveway in their classic Buick wedding car, what a stunning wedding car! 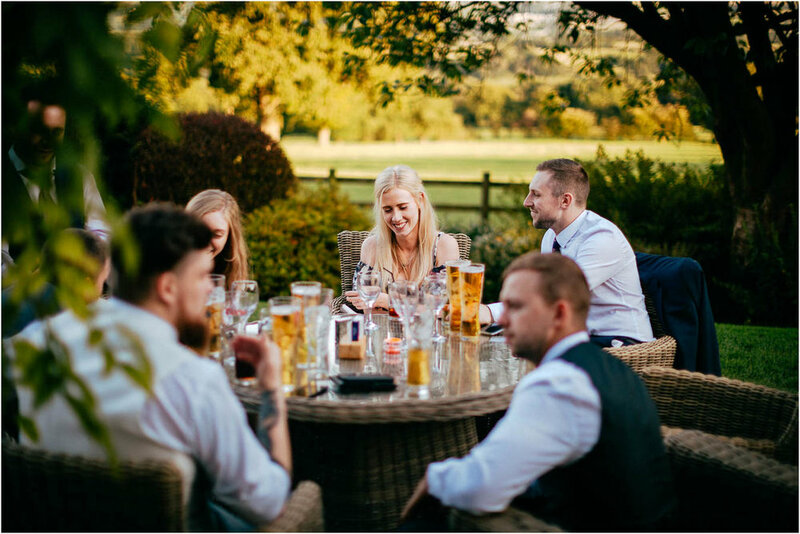 The rest of the day was spent enjoying the company of friends and family, outside at The Shireburn Arms – until the sunset leaving a lovely warm evening, and a nice orange glow in the sky. 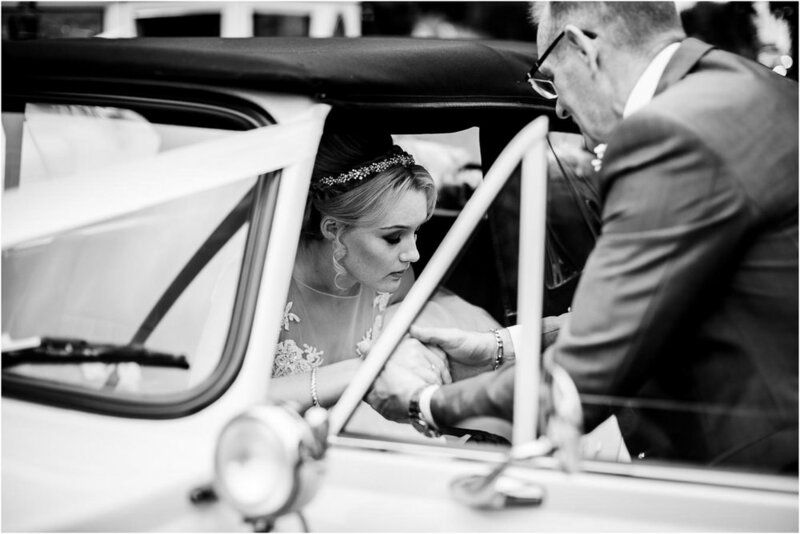 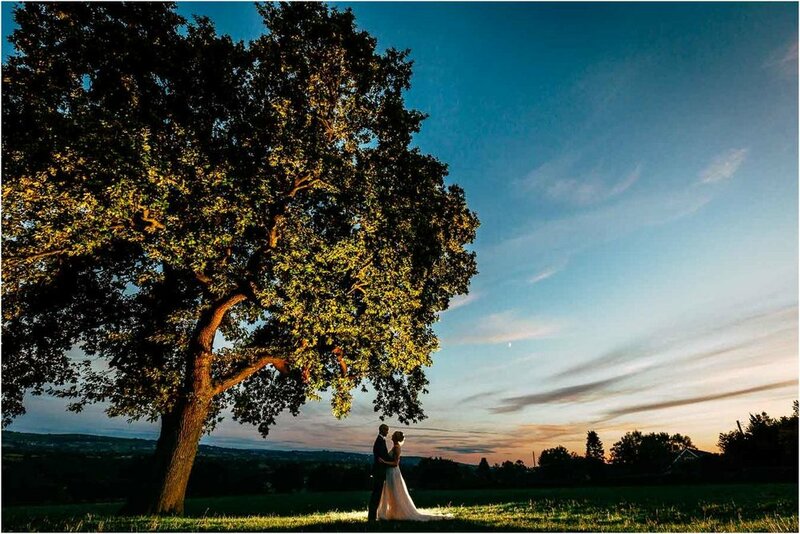 Naturally this made for some amazing photograph opportunities, and a quick jump over the low fence saw us under a huge oak tree – for the final wedding photographs in this blog – a brilliant way to end what had been a superb wedding! 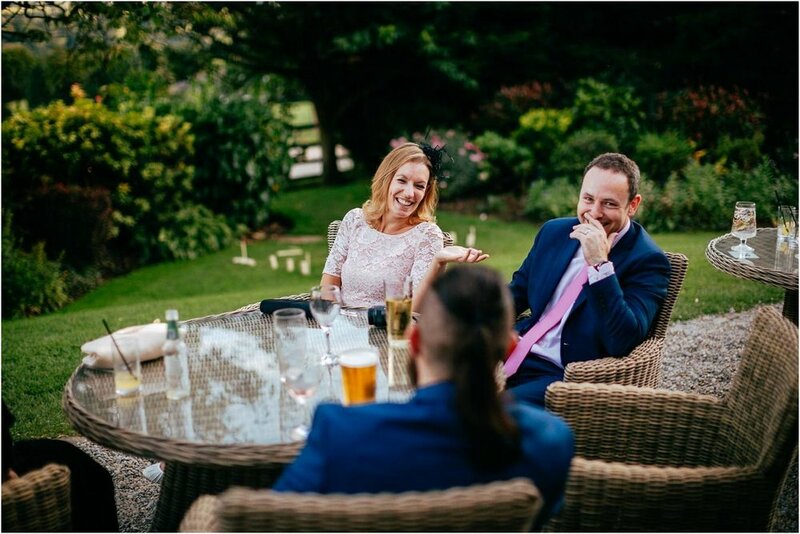 It was great to work with some fantastic suppliers, Kerry Baker Makeup Artist, Aaron Rose Wedding Films and DFC providing the evening entertainment and music!